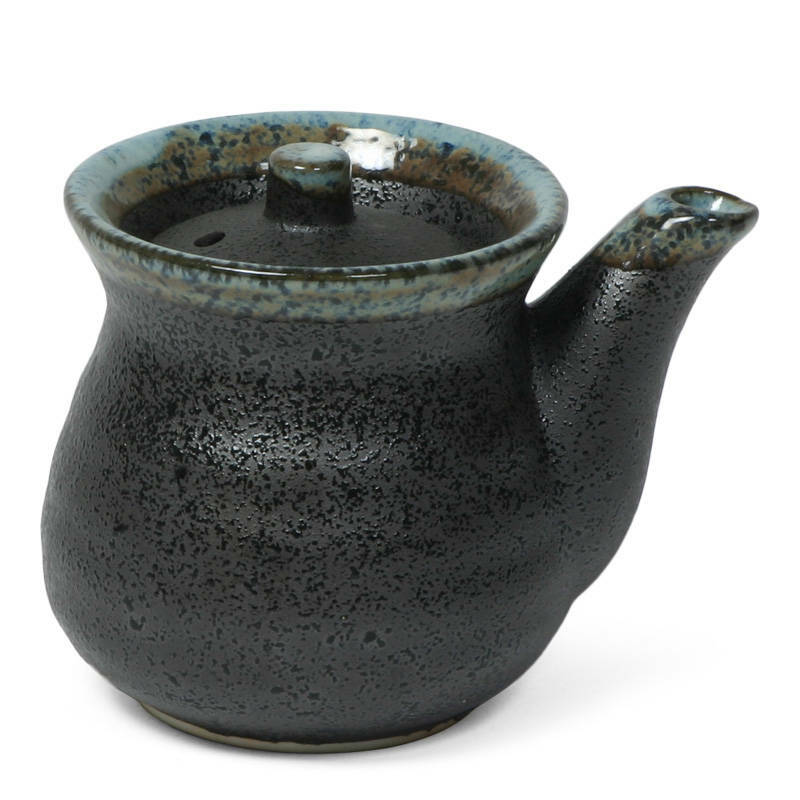 Black tetsuyu soy sauce pot. 8 oz. capacity. Dishwasher/microwave safe. Made in Japan.